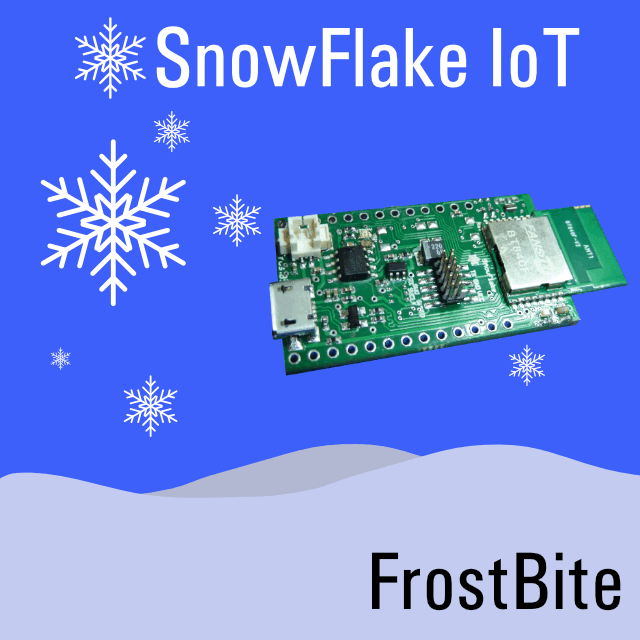 Our FrostBite development board is the first target platform supported by the SnowFlake IoT framework, and is a great choice for new edge computing applications.  FrostBite brings together features needed for developing modern, wireless IoT solutions with minimal external components. 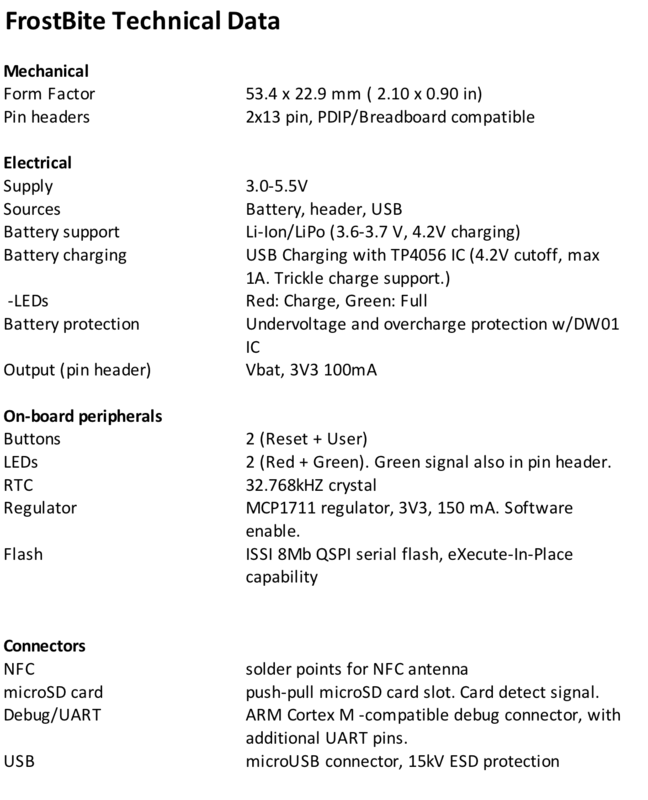 We have integrated Li-Ion charging and battery management solution on-board. Based on the new Nordic nRF52840 System-on-Chip, we've built the platform together with Nordic Semiconductor, Fanstel and OKSHA. For a limited time, the FrostBite board is available via our Indiegogo campaign, for reduced price!